Tis the Season! All white errrthang! 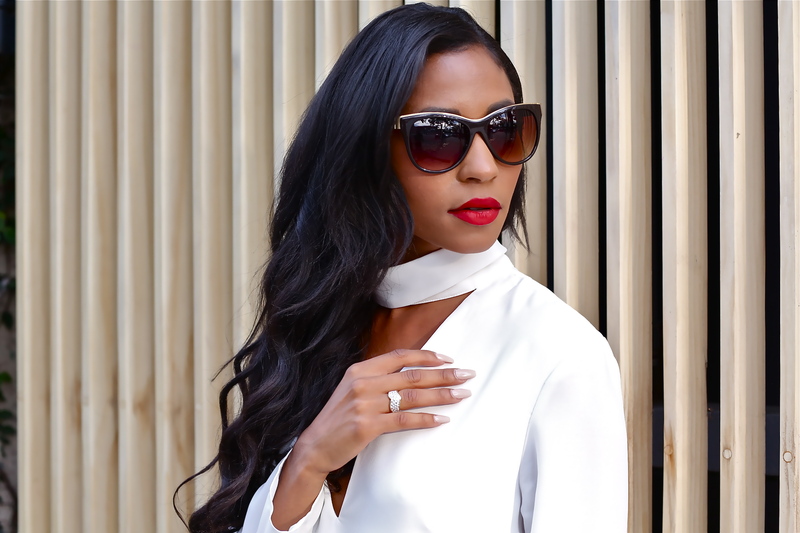 White and anything neutral, is the ultimate summer go too. Fresh, clean, and ultra chic. But most importantly everyone knows this summer is ALL about the perfect white denim pant. 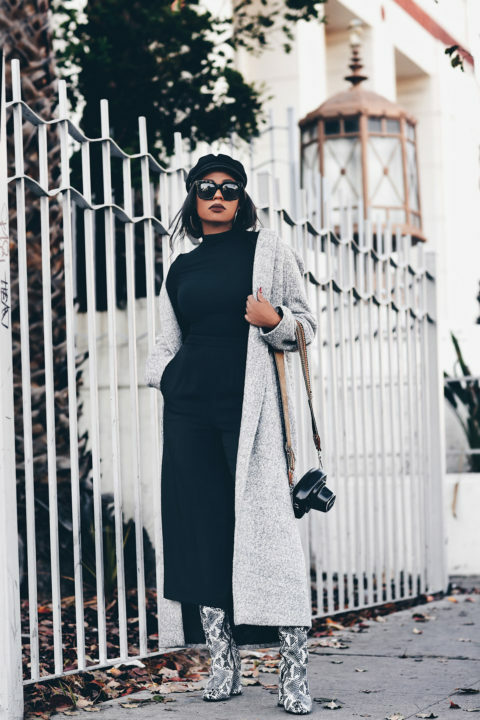 From boyfriend to skinny, every fashionista must have! 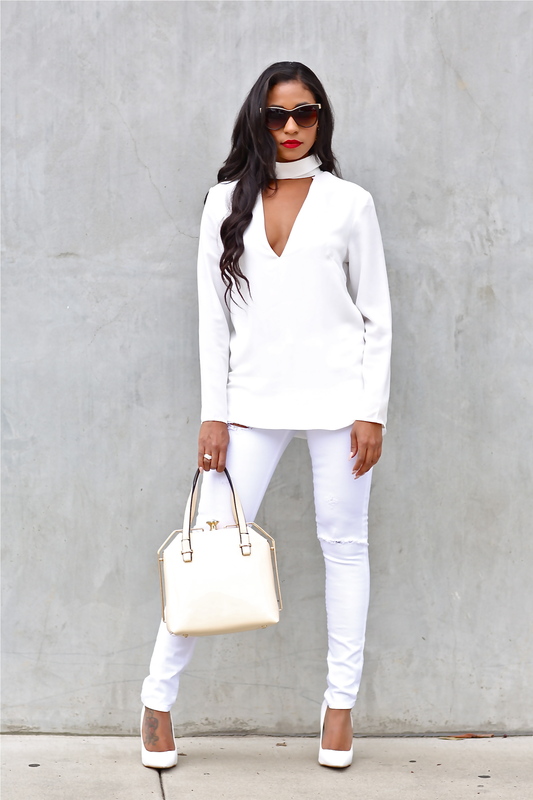 While some say white is really hard to wear..especially head to toe. I personally love wearing white clothing, even year round. Whites POP against my skin tone and if you look in my closet right now…its currently all white and black. Wearing A GOlD E distressed skinny jeans from NastyGal. (Sidenote…nastygal denim is quickly becoming one of my favorites.. THE FIT!) Paired with a C/Meo Collective high collar long sleeve blouse also from NastyGal. 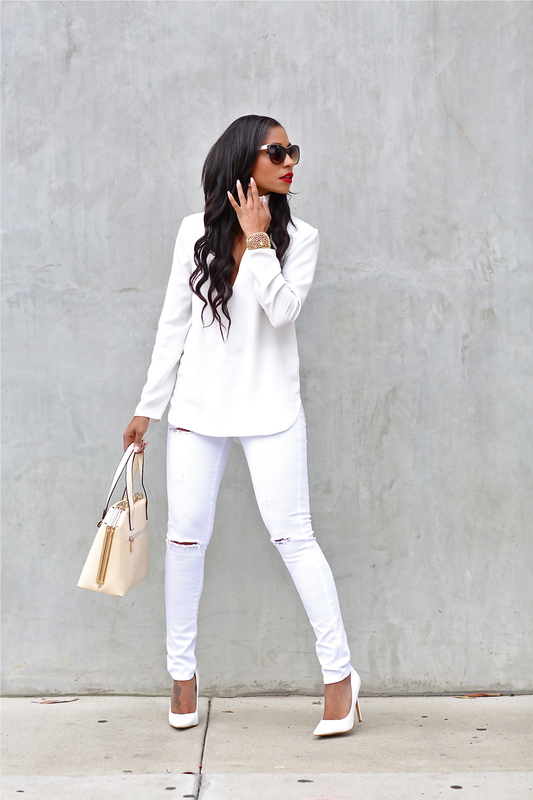 White pumps X Lola Shoetique. All accessories:purse,earrings,ring and cuff X Le Chic. Ring,cuff and earrings all 24K gold plated. White on white makes for the perfect summer look!